Today’s the day my Jesus traveled to the cross. Officials couldn’t find his guilt but the crowd called for his crucifixion, he was mocked and made fun of, stripped, beaten, whipped, disfigured and a crown of thorns was rammed on his head. He was barely recognisable by the time he reached Golgotha (the place of the skull, where criminals were crucified) and then he was nailed to the wood and raised to be displayed to the onlookers. And yet, he still loved them, he still loved me. On that cross he took the punishment that should have been mine. He took all sin, past, present and future, onto himself. 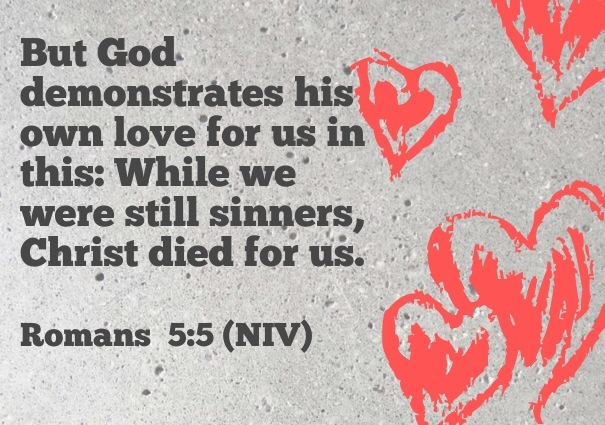 He became a sacrifice for me to restore my relationship with God. So that when I was born years later a gift was already in place that all I needed to do was accept, the gift is life. But he did this not just for me – the gift is yours too, if you accept it. When God made man in the beginning he never intended us to die, death was a symptom of that first sin in the garden and all of the sin since. The punishment for sin was death, that’s why before Jesus’ death and resurrection when people sinned they would sacrifice an animal to account for the sin. But Jesus became the ultimate sacrifice, for all of us. …. But the story isn’t over, Jesus didn’t remain dead. Friday night his body was taken and sealed into a borrowed tomb, surrounded by Roman guards. It’s Friday, but Sunday is coming!